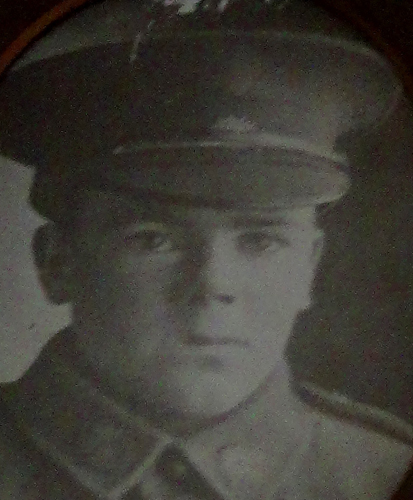 He was missing in action after the battle of Fleubaix or Fromelles on 19/7/1916. It was considered that he had been killed in action by a Court of Enquiry held on 17/9/1916. He has no known grave and is remembered on the Memorial at V C Corner Fromelles. 10/5/16 He was reported AWL 0800 to 0915 on 7/5/16 at Duntoon Plateau and received one weeks fatigue duty. On page 22 of his file there is a letter from Mrs. Phelan written on October 20th 1916. She stated that she received information from a soldier from Korumburra saying jack Phelan was slightly wounded and was in a hospital somewhere. 2/10/17 Mr. Lloyd of YMCA committee Korumburra sent a letter which is on page 34 of the file. A private Wilkinson said that Jack Phelan was suffering shell shock having been wounded in the arm and was in a hospital No 17 Hut Weymouth Hospital West Ham England. Mrs. Phelan sent a photo to Pt. Wilkinson and he recognized it as the former mate he had seen in Weymouth. 17/9/17A Letter was received by his family stating that J Phelan was found to have been killed in action on 19/7/16.